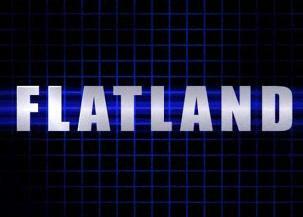 Seems that Flatland is being turned into an animated movie. It is scheduled to be released this year and is narrated by Martin Sheen. You can see the trailer there. The third dimension is real! Yes, I believe! And actually it turns out that there was a previous attempt, in 1962, for which you can see the trailer here, although it doesn't look quite as interesting. It is scheduled to be released this year and is narrated by Martin Sheen. I really hope it is not over forever and that they may do a few shows on the festival circuit again next year. Since June last year at Download in the UK, I’ve seen them nine times and it’s still never enough as the shows have all been amazing! I can78#21&;t complan about Patton working on new Tomahawk and Fantomas material, though. Just as excited about all that anyway.